Over the past five years, many large manufacturing companies, at some level, have invested in a Digital Manufacturing initiative. With typical budgets of $500K to $5M, these projects have ranged from a strategy for Smart Manufacturing in phase 4 of the Industrial Revolution to the Design/Build of a working Manufacturing Execution System (MES). Successful MES projects have delivered significant value and ROI. When considering a Smart Manufacturing project today, it is important to know what designs have worked and, just as important, to know what has not worked. Another design criterion is knowledge of what future MES products and services are in the pipeline to assure your company’s business edge so that what you design now can be upgraded or modified efficiently and effectively for a sustainable MES. Value Stream Mapping along with a Master Data Flow Diagram will assure your MES is will work as intended. With reference to Figure 1, the data flow to and from all levels needs to be fast, efficient, secure and maintainable. By focusing on a central hub(s) for data exchange, one can connect to a site based MES Server now and, without major changes, reconnect to a cloud based MES Server in the future. For this data exchange hub, one building block or element that works well is a Transaction Manager Server, as defined herein in noncommercial academic terms. So, why do you need one, what does it do and where does it go? Translating data from production automation systems into actionable information has been around for more than 15 years, enabled by data acquisition from process controllers, control sensors, devices and machines into a MES software application. In the past 5 to 10 years, MES software on the enterprise-level has seen an increase in exchanged data with ERP and other applications like Advanced Planning and Scheduling (APS) systems and tracking for manufacturing operations such as OEE systems. 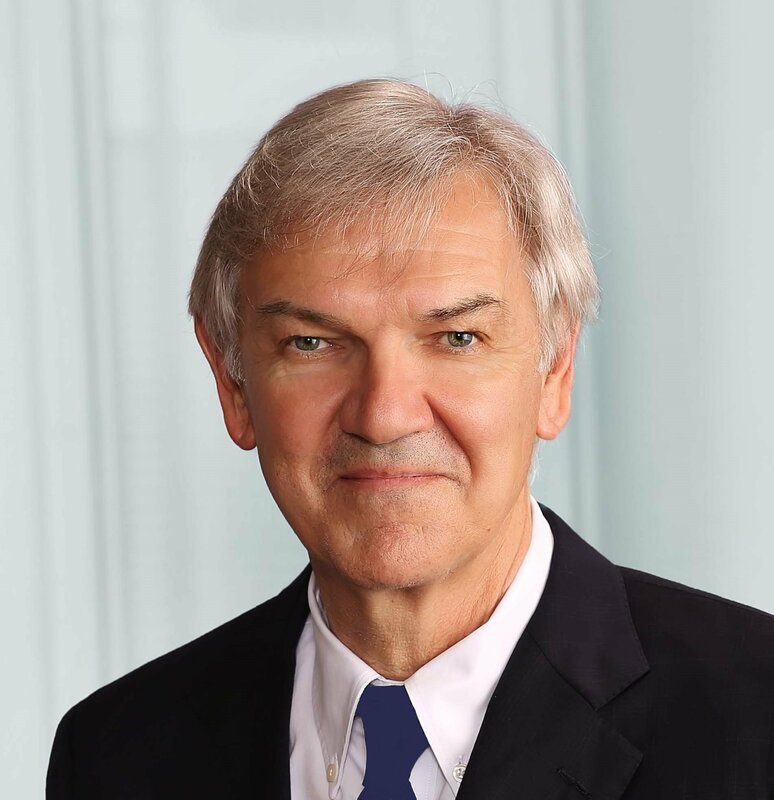 At the automation or machine level, the Industrial Internet of Things (IIoT) technology has provided another level of digitization and much more data. A MES needs to be maintainable and sustainable for at least five years without major upgrades. There are significant advantages to a multi-tenant cloud-based MES (public or private) solution. Security of data within the public cloud is now possible with documented security designs and practices (e.g., Microsoft Azure and Amazon Web Services). Companies prefer to pay for MES software licensing as an operating expense on a periodic basis rather than an upfront capital expense. The typical annual costs of 20% of upfront licensing cost for upgrades and support of MES software has been in question, especially if the upgrades are not installed, and the support is not needed. Whether MES software is cloud-based or on premise, when a new or major upgrade to an existing MES is being considered, choosing the right network framework and keystone building blocks will help to enable a sustainable MES architecture. A Transaction Manager Server (TM Server) at the Level 3 of the Purdue Model is a central communication and transaction hub. 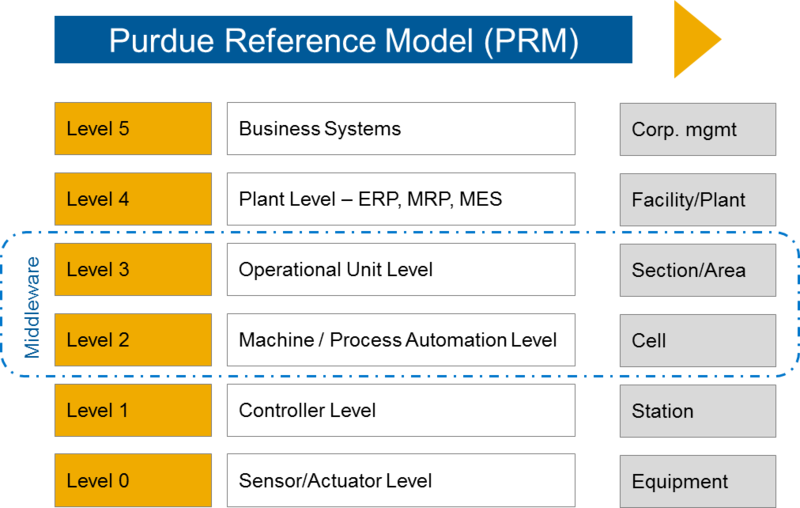 The Purdue Model for Control Hierarchy is a well-understood model in the manufacturing industry (The Purdue Enterprise Reference Architecture, T.J. Williams, 1992.). It segments devices and equipment into hierarchical functions. See Figure 1. Every architect has a different design envisioned for a multi-story building, however, when it come to the elevator, the basic functionality remains the same. 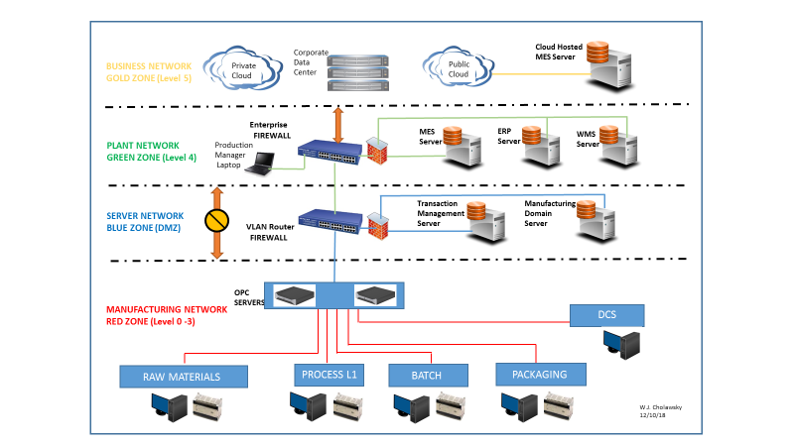 One can think of a transaction manager in your manufacturing network in the same way holding and carrying people/data between levels with bridges/walkways on certain levels with pre-determined access and permission. If you need a second elevator, OK, but the basic design remains constant. With so many solutions out there today for collecting data, analyzing it and providing information via dashboards or reports, it is easy to see how companies can find themselves in a complex, hard to maintain and upgrade data architecture. Tried and true transaction management software has been available for at least ten years from companies like Rockwell and PTC Kepware. Defining just what data and information you need and where you need it, with a Master Data Flow Map, enables an elegant and sustainable MES design. Using one central hub(s) to handle your MES data allows you to connect to an onsite MES database or MES software from “Vendor A” today, and reconnect to a cloud based MES or MES software from “Vendor B” tomorrow, without an infrastructure rip and replace for a sustainable solution. When specifying your TM Server, the design team needs to include a senior-level IT group decision maker. Maybe that individual doesn’t want the TM server in DMZ but rather in the Manufacturing Network or maybe would prefer that a cloud-hosted MES has direct TM Server to cloud-hosted MES in the DMZ. Whatever your company’s IT resource determines is fine, so long as your MES team understands at a high-level the network design with documentation referencing what are the server’s ports and protocols for communication. That decision should include ease of maintenance and upgrades. So no matter the task of your MES , whether it be: Real Time Performance Metrics, Overall Equipment Effectiveness (OEE), Recipe Management, ERP connectivity, Quality Management and Assurance, Product Track and Trace, Statistical Process Control (SPC), Paperless Operations or Scheduling of Orders, part of your design team should include a resource, like Toward Zero, who can provide Value Stream Mapping, Master Data Flow Diagram and a sustainable MES design.